Chef Robert Irvine Didn't Bite My Head Off! 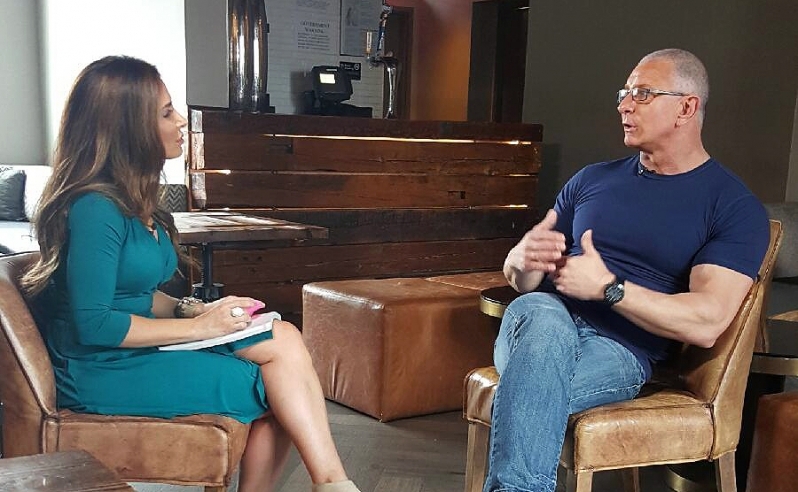 Chef Robert Irvine Talks Fitness with Me! Chef Robert Irvine is a really sweet guy even though he can come off as quite tough on his Food Network shows. I was so honored to interview him about his new book Fit Fuel and shift into fitness because I've been a fan of his for years and an avid watched of every Impossible show he's done. What I didn't capture in this interview is how much he adores his wife Gail Kim who is a professional wrestler and fitness lover. She's clearly a major inspiration to him. During the interview, Gail called him and you better believe he picked up his phone to take the call. So right in the middle of our interview, I got to see this "softy" side of him. I could've cared less that we had to backtrack a bit and start the question over because I was overjoyed to see that a fitness woman melts Chef's heart. What have you conquered that you might've thought was impossible to reach your health goals??? Tell me down below! Thanks for reading!